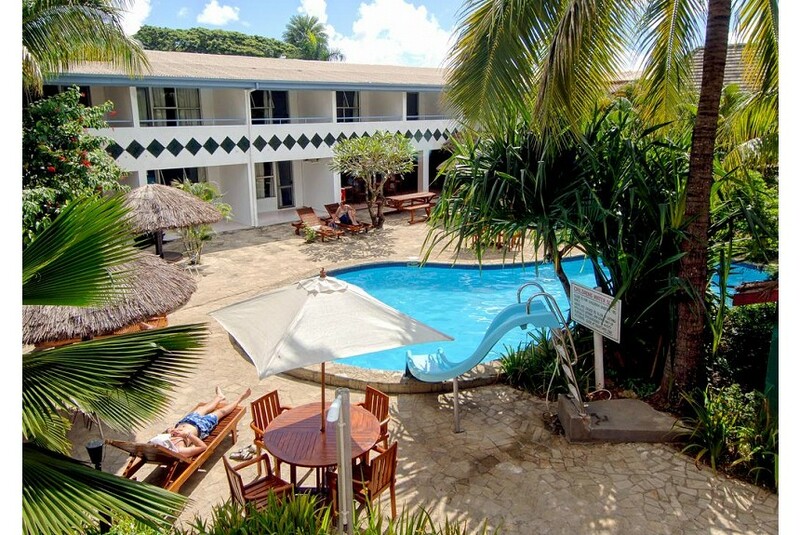 Capricorn Hotel - Nadi is located within 7 minutes drive from Nadi International Airport and set amongst the tropical garden, other entertainment outlets, supermarkets and bars. The hotel offers 67 spacious rooms, all surrounding pools and gardens. It’s a perfect place for a tropical Fijian getaway, a place to unwind after a busy day of business, shopping and sightseeing or leisure or just relax beside the pool and enjoy a refreshing Capricorn Cocktail. Or simply rejuvenate with a Fijian massage in our Beauty Parlour. Our restaurant offers delicious international and local cuisine, friendly and relaxed cocktail bar services with all international and local beverages like beer and cocktails and order in the chasers to go with them. At Capricorn, we have done everything to ensure that you spend a great and memorable holiday which will be a worthwhile experience. So come and enjoy the peace and hospitality that Capricorn has to offer!